Dominoes Classic. Enjoy a round of Dominoes in this HTML5 version of the popular board game classic where you’ll need skill, the right strategy and a portion of luck! Choose between three game versions: Draw Dominoes, Block Dominoes and All Fives (also known as Muggins). Select a difficulty that matches your abilities best and try to achieve the target score to win. Playing is simple: match the same number of spots at the end of tiles and get rid of all the tiles you hold before your opponent. Good luck. 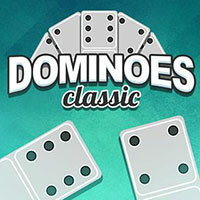 Dominoes Classic is a free online board game on Round Games.